The ENL100-12FT Yuasa EN Endurance range, suitable for all standby applications including Telecommunications, UPS and Emergency Lighting, benefiting from a front terminal access design offering ease of install and ongoing maintenance. 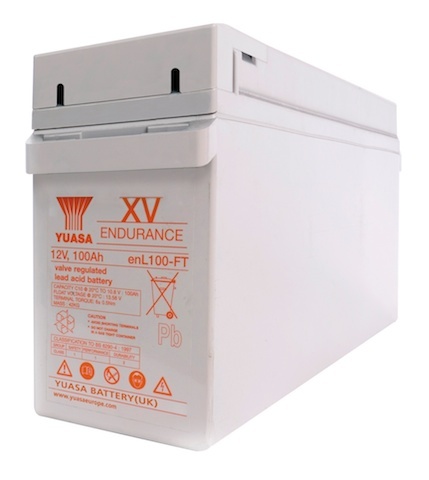 Endurance range batteries from Yuasa are the engineer’s choice for even the most critical standby applications, providing long life in operation the ENL100-12 is extremely reliable and ensures a strong ‘peace of mind’ solution. The Endurance ENL100-12FT offers an extended design life against the EN product version. 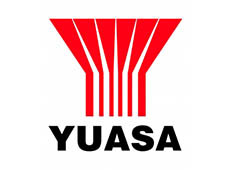 Blue Box Batteries are proud to be an approved sales partner to Yuasa, and are well positioned to offer the best advice and service for your battery power requirements. Eurobat Classification Long life in standby 12+ years. Chemistry Electrolyte Suspension. A.G.M. technology assures no free electrolyte to spill. Efficient High gas recombination efficiency. Eliminates the need for forced ventilation and separate battery rooms.